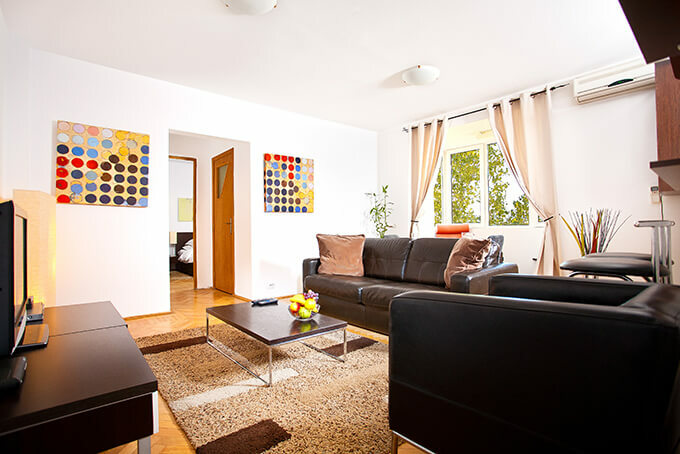 Renting a regular hotel room in Bucharest certainly is an option, but nothing beats the feeling and benefits associated with renting your very own luxurious 2 rooms apartments in Bucharest. 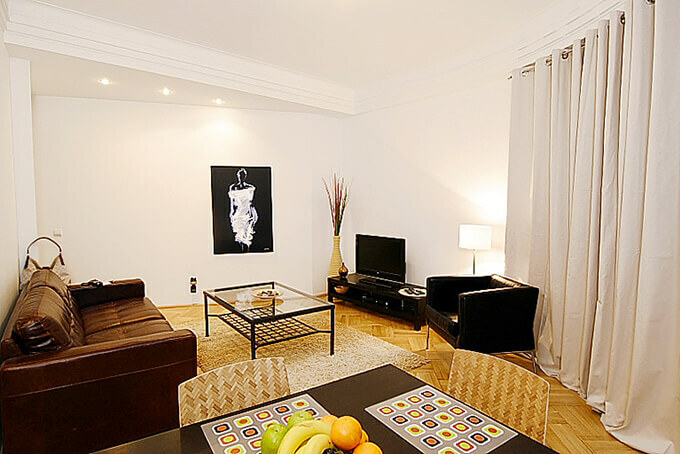 Staying at luxury apartments for rent in Bucharest give you the freedom that not even a posh, upscale hotel is able to provide and that at a much lower cost, while having all the benefits of an ultra-central location. The practicality of the 2 rooms apartment for rent short term is also worth mentioning, being above your standard hotel room. A welcoming living room, a comfy bedroom and fully equipped kitchen and bathroom will make you feel like you never left home in the first place. Each 1 bedroom apartment for rent we offer is decorated by professional designers so that our visitors can enjoy luxurious and comfortable rooms. Romania is known to have some of the best Internet services anywhere and our apartments in Bucharest are no exception, a High Speed Wireless Internet connection being available in each one. You can even enjoy watching the news on huge flat screen TVs, available in every room. Some of the features that you will find inside our 2 room apartments include designer cabinets, full-size washer and fully-equipped kitchen to mention but a few. Choosing to stay here is akin to living in a home away from home. Moreover, all the state-of-the-art features are always in pristine condition, thus giving you one more reason to take advantage. 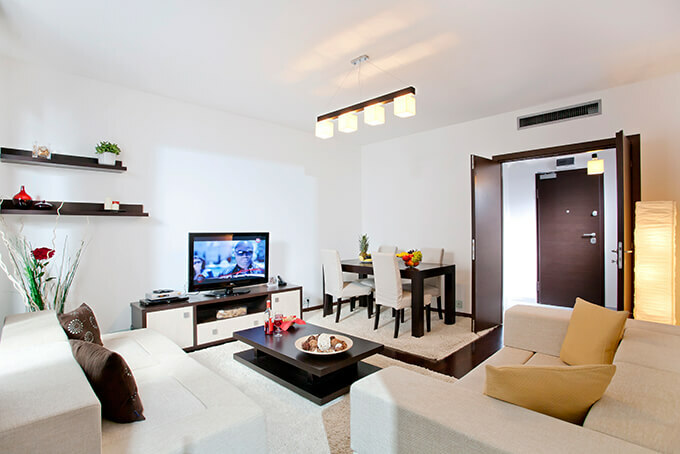 Thanks to the central and ideal location of the Bucharest apartments for rent, you can easily move around the city. You’ll be able to visit the best restaurants and many tourist attractions, all within walking distance. Nothing gets better than this on accommodation. 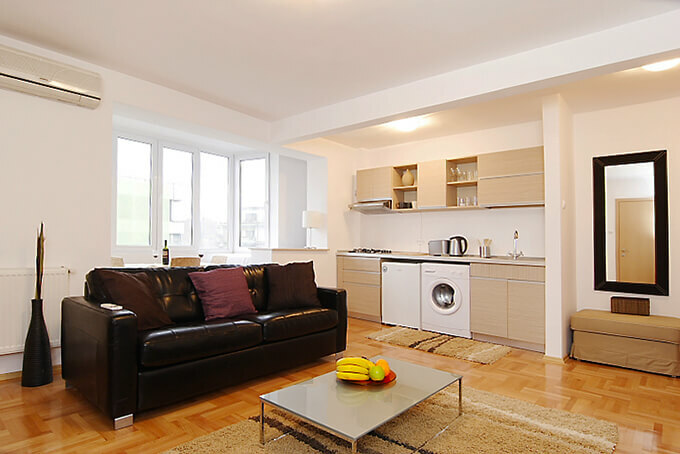 You can also opt for 3 rooms apartments to rent short term or studio apartments for rent Bucharest, depending on how much space you need during your Bucharest stay. This gorgeous, new 2 room apartment is steps away from Universitatii Square, right on the main, in the heart of Bucharest. Just a 10 minute walk to the Old City or Cismigiu park, and 5 to the nearest Metro, it features a balcony, a beautiful city view, kitchen, peace and quiet. A bright, spacious 2 room apartment nestled between the Old City and Piata Unirii, at the cross-section of all things vibrant and cultural in Bucharest, this is a true home away from home. You’ll enjoy a full kitchen and bathroom, satellite, leather couches, a beautiful queen bed and a quiet getaway. A very spacious, beautifully designed 2 room apartment in the very heart of Bucharest nestled between the Old City and historic Piata Unirii, you’d be hard pressed to find a better location than this gem. A quick stroll to the city’s most popular attractions as well as Lipscani’s nightlife, culture and restaurants. 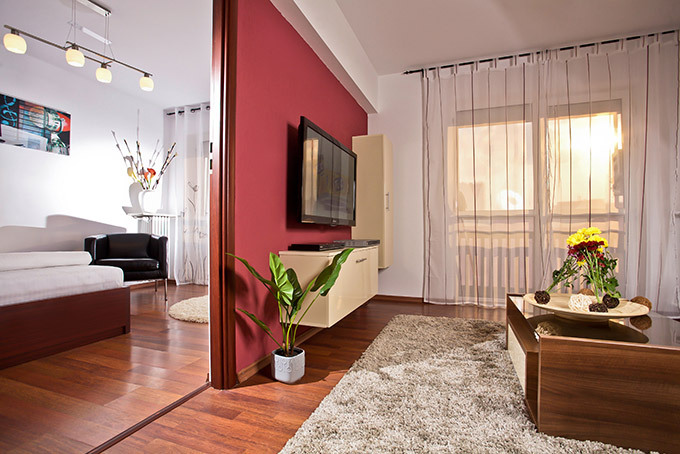 In a beautiful location in downtown Bucharest this 2 room apartment is a unique space with a beautiful layout. It’s fully equipped with a full size kitchen and bathroom, large living room with pull-out couch, a stunning bedroom and tasteful design. Steps from the Metro and Universitatii Square, in Bucharest’s heart. One of the best views in the city from a private covered terrace makes this newly built 2 room apartment a beautiful retreat. In the coveted Asmita Gardens towers next to the Dambovita river and two large nature reserves, yet with easy access to the city center, museums, and Old City via Metro or tram. This new, luxury 2 room Old City apartment is nestled in the heart of Lipscani’s nightlife, restaurants, and historic architecture. You’ll enjoy Bucharest’s most vibrant neighbourhood from a modern, clean, bright, and private apartment with all the amenities of a luxury home, steps away from the Metro, in Bucharest’s cultural core.